Show your furry friend just how much you love them with our large selection of exciting and satisfying dog treats! From delicious treats that are perfect for in-between meals and promoting better oral health, to treats with a much stronger focus on training and rewarding good behaviour, Nature's Best has exactly what you are looking for to properly treat your dog or puppy. Treat Hunters Dog Biscuits are delicious and all natural homemade style dog treats that allow you to spoil and treat your furry friend. Tidbits Bakery Dog Biscuits are great oven-baked treats for your dog. All flavours have been preserved by being slowly oven-baked, creating a crunchy texture that promotes healthy teeth and gums with every bite. Benefit your furry friend's health, while showing them just how much you love them. All treats should be used in moderation. These delectable oven-baked treats have been formulated for rewarding and spoiling your dog, and are packed with a mouth-watering chicken flavour. These appetising oven-baked treats have been formulated for rewarding and spoiling your dog, and are packed with a delicious liver flavour. These delicious oven-baked treats have been formulated for rewarding and spoiling your dog, and are packed with a bacon and cheese flavour. These tasty oven-baked treats have been formulated for rewarding and spoiling your dog, and are packed with charcoal to effectively combat bad breath. These scrumptious oven-baked treats have been formulated for rewarding and spoiling your dog, and is an assortment of Bacon & Cheese, Fresh Breath Charcoal, Chicken and Liver. Tidbits Small Bites "Cheese & Bacon" are delicious baked treats that are ideal for small dogs or reinforcing good behaviour when training. These small treats are packed with bacon and cheese flavour that your small dog will love, and every bite promotes healthy teeth and gums with the treat's crunchy texture. A great reward all round. Benefit your furry friend's health, while showing them just how much you love them. All treats should be used in moderation. Tidbits Small Bites "Fresh Breath Charcoal" are tasty baked treats that are ideal for small dogs or reinforcing good behaviour when training. The crunchy texture promotes healthy teeth and gums with every bite, and the added charcoal effectively combats bad breath. This means you can improve your dog's dental health as you train. A great reward all round. Benefit your furry friend's health, while showing them just how much you love them. All treats should be used in moderation. TidBits Training Treats "Carob Buttons" are a mouth-watering treat formulated for training and reinforcing good behaviour in your dog. Containing no theobromine that is found in normal chocolate, these safe and sweet treats are rich in calcium, iron and protein, and are a good source of fibre. A great reward all round, benefit your furry friend's health while showing them just how much you love them. All treats should be used in moderation with only 10 grams per serve. TidBits Training Treats "Banana and Yoghurt Buttons" are a scrumptious treat formulated for training and reinforcing good behaviour in your dog. A good way to give them healthy probiotics while boosting protein and calcium, the delicious taste of banana yoghurt will entice your dog into learning new tricks or behaving. 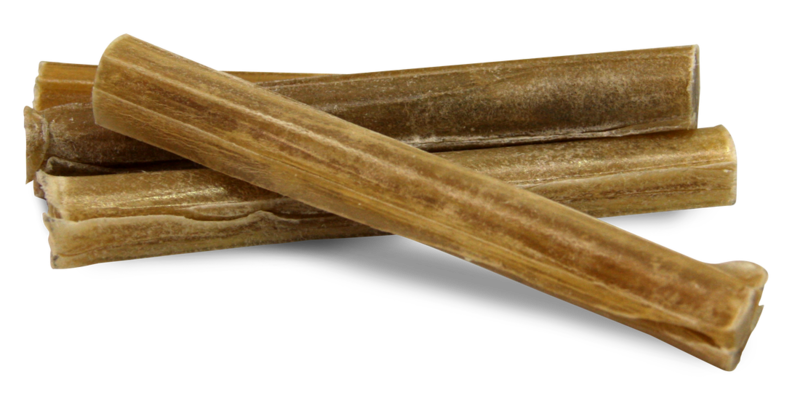 Playmate Rawhide is a tasty and satisfying treat that your dog will instantly love! Made from 100% natural rawhide, the hard texture keeps your dog's teeth healthy and strong with every chew. These mouth-watering rawhide treats are ideal for rewarding good behaviour, as well as assisting in discouraging your furry friend from chewing any household items or furniture by distracting them. A satisfying treat for your furry friend! Hartz Oinkies Dog Treats are an oven-baked and all natural pig skin treat with an enticing smoky flavour. All treats are an alternative to rawhide chews, and are long lasting and highly digestible. Dogs will instantly fall in love with these delicious, smoky treats and will also keep them occupied for hours and hours on end. Hartz Dentist's Best Treats are a tasty and fully digestible chewy treat with an enticing beef flavour your dog won't be able to resist. All treats feature DentaShield technology to help remove plaque and tartar, while promoting healthy gums and teeth, and freshening breath.